Ever gotten ready for the night, put on your lipstick only to find little flaky pieces on your lips? Ick. 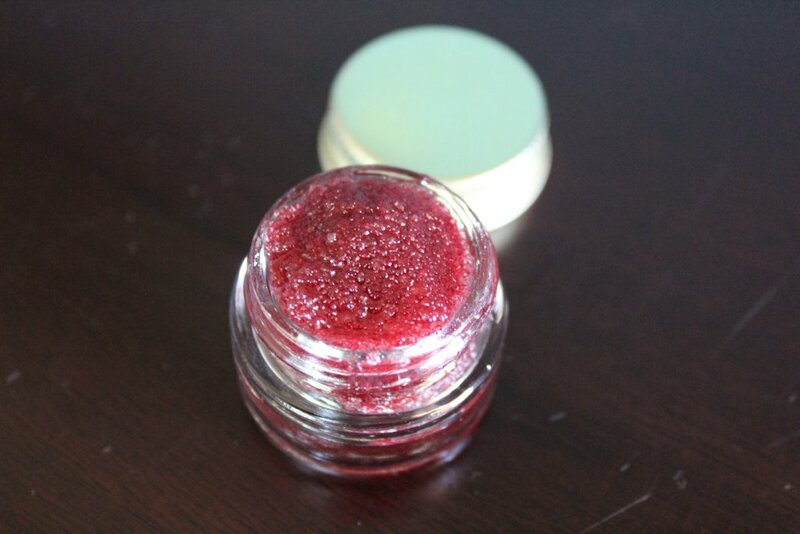 This delicious and organic lip scrub will last many applications and provide your lips with that quick exfoliation they need from time to time. This product is completely edible, so if you don't want to rinse, lick! Simply dab a little onto your lips, rub them together and enjoy. This scrub also provides a light tint to make your lips that much more spectacular. Made with organic sugar, organic unrefined coconut oil, organic beet root powder, organic honey and organic olive oil. Your lips will be silky soft, moisturized and lightly tinted. Perfect for men and women. Enjoy!